Wall Street Dermatology (New York) - Book Appointment Online! Wall Street Dermatology is a premier surgical and cosmetic dermatology practice located in the heart of downtown Manhattan. 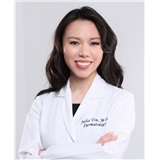 Headed by double board certified and double fellowship trained Dr. Julia Tzu, Wall Street Dermatology offers the most advanced dermatologic care in a state-of-the-art facility, with quality set as our top priority. ***Please note we have a 24 hour appointment cancellation policy. All new patients fill out registration forms in advance of appointment and plan to arrive 20 minutes before appointment. Please visit www.wallstreetdermatology.com for more information.